Maybe a weird title, but if your husband asks you to send him some new pics of our little doll to show at work what do you do? Right…you fix it (ok, after 2 months begging). 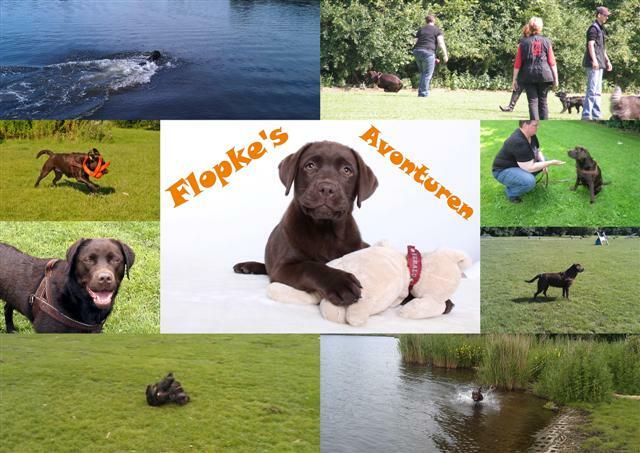 So here are some recent pics of Floppy! The upper part is from today, the second part is from last week thursday when she got a new toy (I blogged about that earlier), which she is crazy about! And the lowest part of pics are from early july, playing in the parc. Wat wij gedaan hebben vanmorgen…..